The growth in popularity of MMA over recent years sees more people participating in the sport as well as watching it, which makes it of utmost importance that there is clear direction on health and safety. With much focus on safety and pain management, health and hygiene is an area often overlooked. 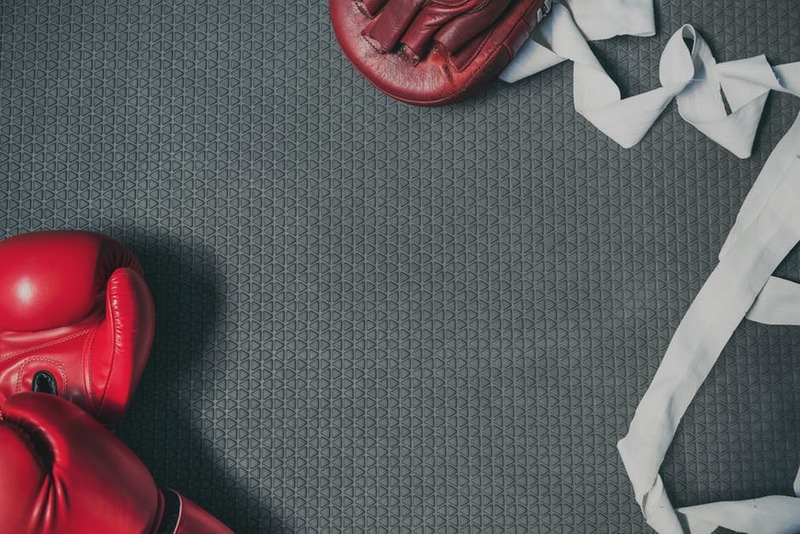 The cleanliness of equipment in public gyms is frequently discussed – and rightly so, with multiple people using the same equipment, and prevention of illness being paramount – but the importance of keeping your own MMA gear clean shouldn’t be overlooked. Every part of your kit from headgear to hand wraps to shin guards needs to be cleaned regularly to keep it germ free and prolong its life. Bacteria thrives in porous equipment like padding, and mold – which in turn can trigger allergy symptoms – can accumulate in items like shin guards, which regularly become damp with sweat. If bacteria is allowed to grow, you leave yourself open to infections, rashes and skin conditions, particularly if you lend your equipment to another athlete. Your training room too is a breeding ground for bacteria, and all bars, punch bags and mats should be regularly cleaned. Don’t be tempted to leave everything in your bag until next session: unpack immediately and let everything air properly. Your MMA shorts should be washed after every use to avoid the build up of sweat and bacteria. Hand wraps need to be washed less frequently, but can be machine washed once a week (avoid putting them in the dryer to prevent them tangling) providing they’re hung up to dry out after each use. Dry out your gloves after every session, and disinfect them with a disinfectant spray or wipes. Ideally, hang all your gear in a well-ventilated area between uses, but if you’re intending to store your gloves in a bag once they’re properly dry, consider placing dryer sheets inside them to make sure they’re dry and fresh-smelling. As with your gloves, your headgear should be dried thoroughly after every session and periodically wiped down with an antibacterial solution (avoiding chemicals if your head guard is made from leather). Your mouth guard should be rinsed and dried after every session, and periodically cleaned more thoroughly with a toothbrush (check the manufacturer’s instructions regarding toothpaste use, as different brands offer different advice on the subject). You may also choose to use a dedicated mouth guard cleaner. Whenever you’re unsure of how best to clean a piece of your kit, it’s worth investing the time to research it more thoroughly and choose the best approach for you and your equipment. In your training room, make sure you regularly wipe down your equipment with disinfectant sprays or wipes, and soak gym mats thoroughly to prevent bacterial growth. Maintaining a clean kit is essential to prolonging the life of equipment and protecting athletes from infection. With growing interest in MMA, it’s essential to keep up good practices to ensure health and safety are taken care of, and participants can perform at their peak every time.